When you need to get away and breathe easy, travel to Buda. Shop, eat, take advantage of the gorgeous Hill Country weather and scenery, and let your worries melt away as you revel in Buda’s small-town charm. Austin is a stone’s throw away for anyone needing a dose of big city life for a day, but everybody who stays in town will be treated to a wonderful time in a friendly community. Check out the following things to do in Buda so you don’t miss anything when you visit. The Texas State Legislature recently named Buda “the Outdoor Capital of Texas,” and with good reason. 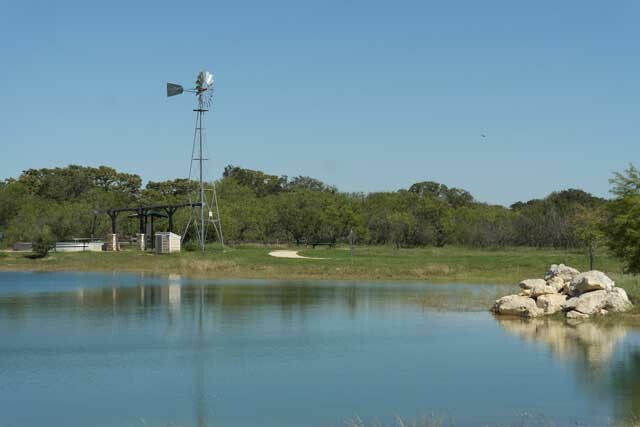 There are 12 parks that combine for nearly 30 miles of parkland for every man, woman, and child in Buda, the highest ratio in the Lone Star State. Fishing, picnicking, grilling, jogging, shooting hoops, and playing softball are all on tap here. From hiking and biking among verdant greenery at Historic Stagecoach Park to cruising the smooth concrete of Jackson Tyler Norris Memorial Skate Park, Buda is the place to go if you’re planning your next outdoor adventure. Nothing says charming Texas town like downtown Buda. Within the six-block district you’ll find rare antiques, trendy clothes, sweet treats, delicious cuisine, and some of the city’s priceless heritage. The 1898 Buda Mercantile, located within one of Buda’s oldest buildings, is the perfect place to find a unique piece of home decor or a collector’s item. Need something a bit more practical? 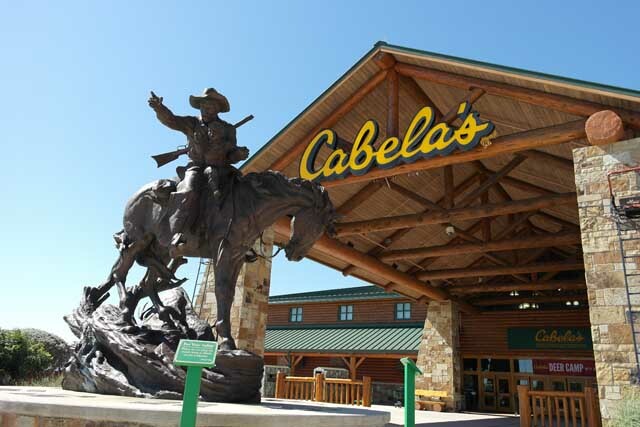 Cabela’s (“The World’s Foremost Outfitter”) is here to supply all your outdoor gear or just give you a fantastic place to browse. If you get a sweet tooth, swing by the Buda Soda Fountain inside the Buda Drug Store for an old-fashioned dessert in a nostalgia-inducing setting. Downtown Buda is also the home of First Thursdays, a monthly event in which participating downtown merchants stay open late and offer great deals. The discounts aren’t limited to retailers; service providers and restaurants get in on the action, as well, making it a great time to find a bargain on everything from a spaghetti dinner to a manicure. Buda is just a few minutes away from the “Live Music Capital of the World” and one of the fastest-growing places in America, Austin. 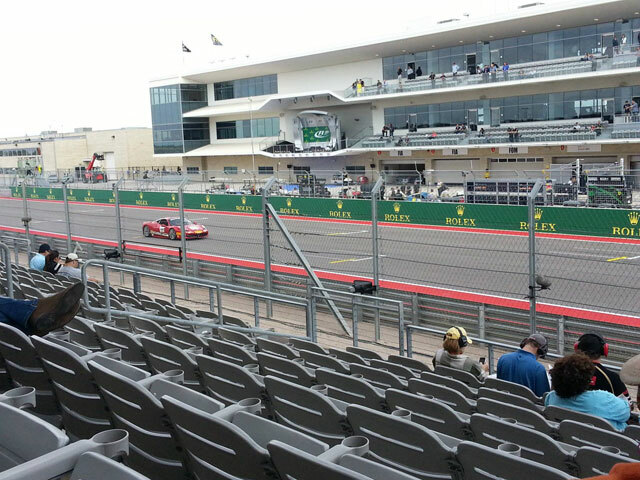 Although there are lots of great ways to spend a day without leaving Buda, some amazing tourist attractions like the state capitol building (15 miles from Main Street) and the Circuit of the Americas (16 miles from Main Street) are so close by, it would almost be a shame to stay in the area and not visit them. Buda has five comfortable hotels outside of the noise and congestion of the big city where you can get a great night’s sleep before taking off to see what treasures Austin has to offer. When you’re worn out from a day of sightseeing, the friendly folks of Buda will be ready and waiting to welcome you back. Maybe it’s the city’s closeness to the perpetually weird Austin, but whatever the reason, Buda is home to one of the quirkiest annual events in Texas on four legs ... four short, stubby legs. 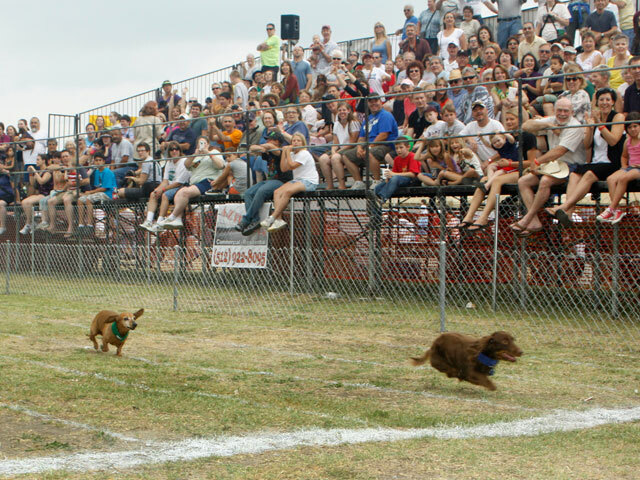 The Buda Wiener Dog Races are part of the Buda Country Fair, which also includes a pet parade, fajita and barbecue cook-offs, dessert bake-off, live entertainment, a washer tournament, and arts and crafts booths. But the little hotdog-shaped canines are the stars of the April weekend, drawing thousands of visitors from all over the country every year to watch them race and compete for the title of “best-dressed dog.” You won’t want to miss this eccentric event that’s one of the best times to visit Buda.